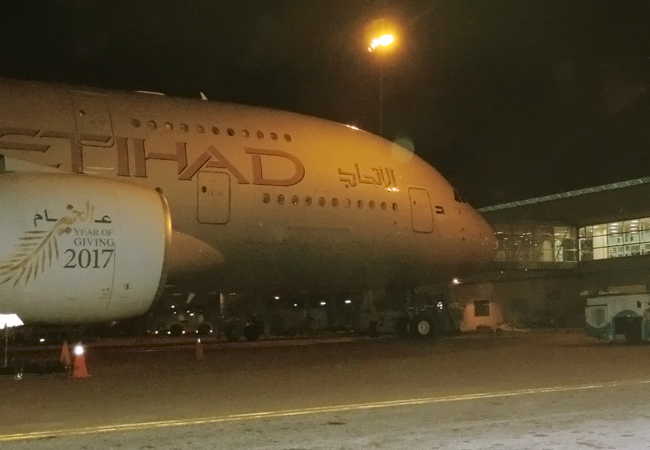 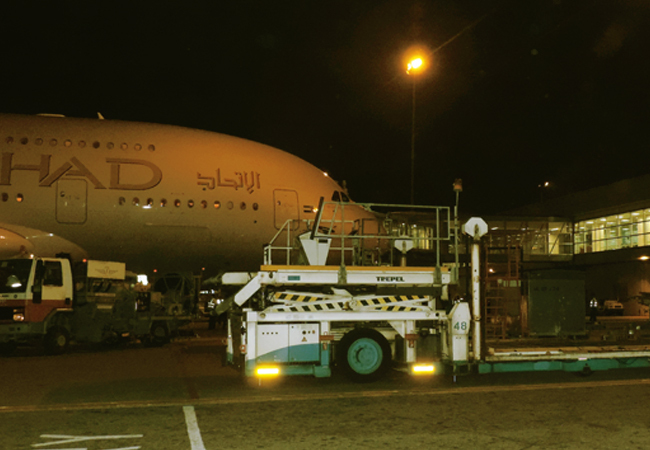 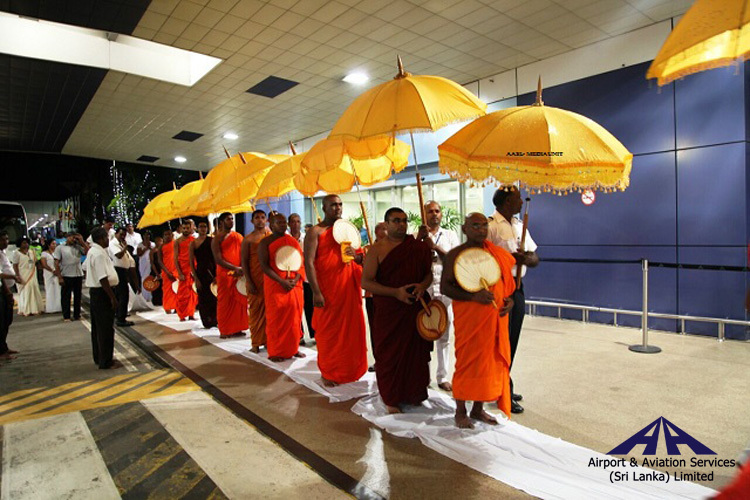 An Etihad Airways flight, EY451 traveling from Sydney to Abu Dhabi made a landing at BIA (Bandaranaike International Airport), Katunayake for refueling and crew exchange on Wednesday, 17th at 10.00 p.m. (22.00 hrs) and departed at 11.48 p.m. (23.48 hrs) on the same night. 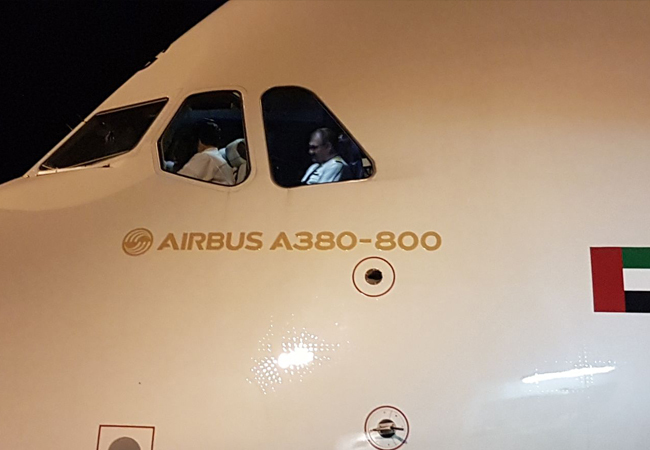 At that time, 354 passengers were on board. 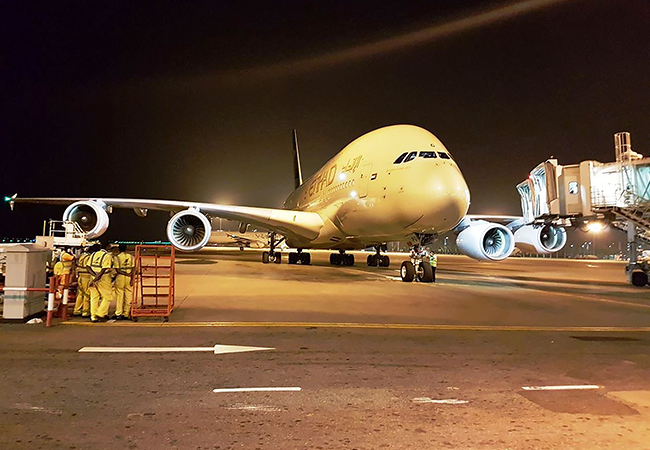 A-380 operations for commercial, technical and other purposes can now be facilitated at BIA after the upgrading of the aerodrome system which took place during the Runway Project successfully completed in 2017.